I have the Boss tuner (I use it for electric bass), and it is fine. It is chromatic, and it can tune a "C", so it would work. I wouldn't recommend it, though. For Eurorack, I would recommend a module with a built in Tuner instead. It is much easier to use in practice (I am not even sure the Boss pedal would work with modular signal levels). Two suggestions (I have both) are the Disting Mk 4 and the O'Tool+. Both are great, and both do a lot of other stuff. Personally, I use the O'Tool to tune. I can really recommend it, especially for the oscilloscope function. It is easy to dismiss a scope as being unnecessary when you are starting out (after all, it doesn't do anything to the sound), but it is fantastic for getting a window into what is actually going on in your modular. In order to tune my VCO I want to invest in a decent tuner. mentioned a lot in various forums: the turbo tuner from Sonic Research. The second one is the Boss pedal chromatic tuner. your instrument/system. I also would like to use the tuner to tune my other stand alone (semi/modular) synths. Are both of these good choices? Which one is the most useful or should I pick none of both? You can also ditch the multiples as you can get in line splitters that'll work just fine. If you're sequencing externally, I also don't see a pressing need for a quantizer, especially since you're not using Random sources. I need to get some new stuff to fill the empty space in my little rack. I'm sequencing and mixing externally. What would you get if it was your rack? I am having trouble synchronizing my sequencers. I am using a Doepfer A-190-4 as a MIDI to CV clock and transport control interface. Clock works just fine, but transport is an issue. The Doepfer has a Reset out that responds with high voltage (constantly) to MIDI stop. My sequencers, on the other hand respond to voltage high as a clock reset or stop, so in a way the Doepfer does precisely the opposite of what I need it to do. I am using Rene MKII, Mimetic Digitalis, Pamela’s New Workout, and a Trigger Riot to sequence. I suppose I could use a logic module to put clock out only when no voltage is sent from the reset (advantage here: sequencing stops), but are there any better solutions? I’d have to get a suitable logic module with a NOT algo, so I might also consider an alternative MIDI to CV that is more suited to my needs. Suggestions? Is there a way to solve the problem with what I have (includes a Deluge as master MIDI controller, which can put out clock and gate, and a Mutant Brain). I guess I could just use a Gate and a CV output in the Deluge to directly send clock and Reset. The tricky thing is, that sending a reset via gate on end or start of sequence would hardwire a set cycle, which eliminates some of the neat abilities of the Trigger Riot. In fact, the Trigger Riot is causing me the most issues. So, how does one send a single gate out only once upon a MIDI start signal? Bought an Edges from @alibu, and everything was fantastic. Great packaging, great condition, fantastic communication, the works! Recently purchased a Pittsburgh Primary Oscillator from @Tomah. Well packed and as new, thanks! Hi great you found the answer yourself. Hi! I had very nice deals with @JeanMichelDan, @Lamouette and @Groove_Addict. Thanks to them! thanks to @alibu for Peak MI , well packed and mint condition, serious seller. Hi Alex, you can post your cases in "Marketplace." It's the last item in the menu at the top of the webpage: "Modules. Racks. Patches. My Modular. Forum. MARKETPLACE" I'm not sure on the rules or if there's a minimum number of posts before you can sell... but that's the best place to do it. Take some pictures too!! Hello to everyone, maybe this isn’t the right place to post, but I think I’ll find a buyer more quickly than anywhere else. 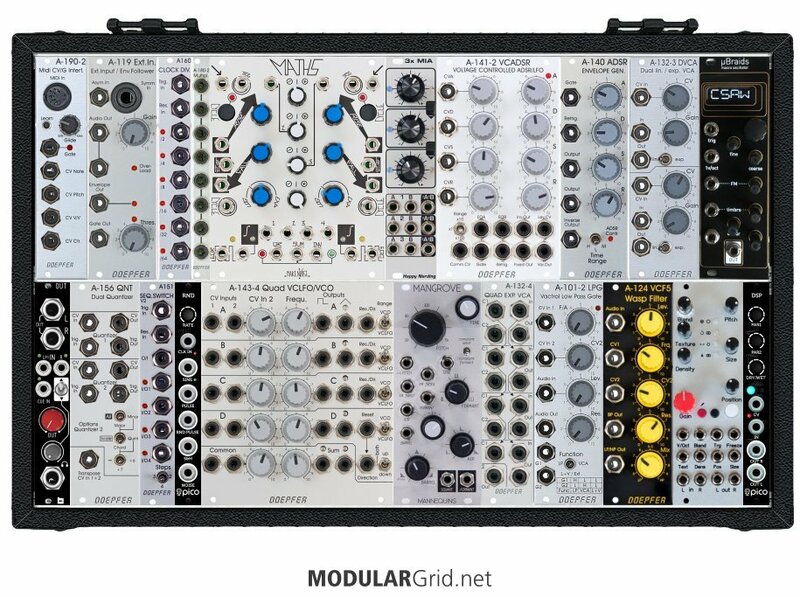 For sell 2x Submodular Shadow cases 6U 104hp bought in last August both filled with a TPS80W Max Intellijel power supply. 800 euros the case and is negotiable ! I am located in France near Paris. Don't hesitate if you want further information. Nice, thanks, yeah the Zadar looks pretty cool. Xaoc’s Odessa looks fascinating as well. Alright I have all your suggestions laid out on my rack according to signal flow, and really appreciate the help! Will for sure reach out again if feeling overwhelmed. Try this: remove the Rings and substitute Codex Modulex's uRinks, which is an 8 hp version of the 14 hp Rings. Then take out the Optomix (8 hp) and put in a Make Noise LxD (4 hp) instead. This gives you 10 hp free, into which you can drop a Xaoc Zadar, which then gives you four EGs plus a bunch of other functionality. Then to place it properly, move the Audio I/O up to the right end of the top row in the version I laid out, and put the Zadar to the right of either the Maths or TM. This retains your signal flow, although you do have that down-then-up dip for your effects at the end of the audio chain. Got a Twin Waves from @teethgrinder . Mint condition, fast shipping and overall a no-nonsense deal. Thanks! Also, if there’s anything you would swap out or change/move around for functionality/workability, I’d appreciate the insight. I actually have a Clouds coming in the mail in the next couple days, so I’m happy I could snag one. Are there a couple env gens you’d recommend? As you’ve probably noticed, i’d be ok with some DIY modules that are lower hp (Warps & Plaits) to keep some room open for some of the bigger ones like Magneto and the SMR, so I’m fine with squeezing some smaller alternatives into this Rackbrute 3U. I’m usually a purest with instruments, but I’ve heard the Antumbra replications and some of the other DIY’s are fairly comparable. I’m open to any and all advice, though, as I’d like to start off on the right foot. It’s more about saving space than money atm. Sources are top-left, audio flows right thru filters and such. Maths and Turing Machine, plus P/S are lower-left to group mod sources, then the audio processing chain starts with the Freez to the Magneto. I/O is on lower right at the end of the processing set. From my experience, following this sort of upward-on-left (control) and downward-on-right (audio) ordering method seems to work very well. You can clearly see the audio signal flow across the top row until it has to drop down to the processing and output, and the modulation is down and left so that it can reach "into" this path to affect the behavior of your sources and modifiers. However, if you don't have a Clouds on hand already, you'll need to rethink that module, as it's been discontinued for quite some time. OTOH, removing it for a smaller third-party version would add some open space, and if that's the case, I strongly recommend adding some envelope gens to this alongside the Maths. Thanks for the reply and suggestion! I am limited on space, but don’t want to go t0o big, at least for now. 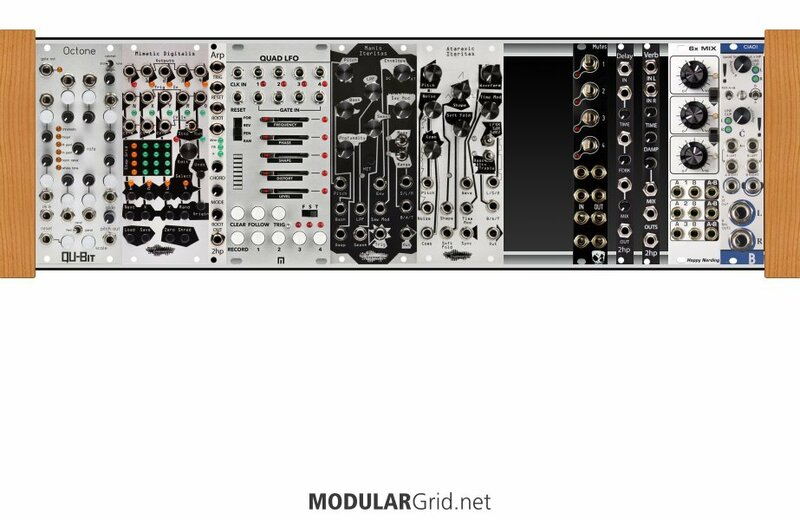 Some of these (like the Erica Synths Multi to split the CV) I need specifically to help with the fact that I’ll be using a Microbrute, so was just wondering if I should have all of those modules together and then branch out from there.  Is putting all of the like-modules together pretty much the standard, or is this your preference? Maths offers two attack-decay envelopes. It can function in more complex manners with some creative patching. You'll want some ADSR envelopes somewhere as well. ADSR envelopes come in two general flavors: linear and exponential. Some ADSR units can do both. Intelligel makes a nice two EG unit for linear. Tip Top makes the Z4000 NS EG that can do both linear and exponential... and also gives you CV input to control each stage externally. You can find basic compact LFOs, like the Batumi with Poti expander with four LFOs available. I'd also recommend an Ornaments & Crime module for functions like quantizing and a basic sequencer. Sequencers do more than just play notes if you use them correctly. Think of it as a modulation source as well. You're a bit limited on space so you might have a time trying to reorganize the modules. I group all my oscillators together, then all of my filters, then my VCAs. My envelope generators, LFOs, etc go together. Then my effects go together. My outputs are usually near my VCAs or effects. Hey everyone, Capt. Noobie here. 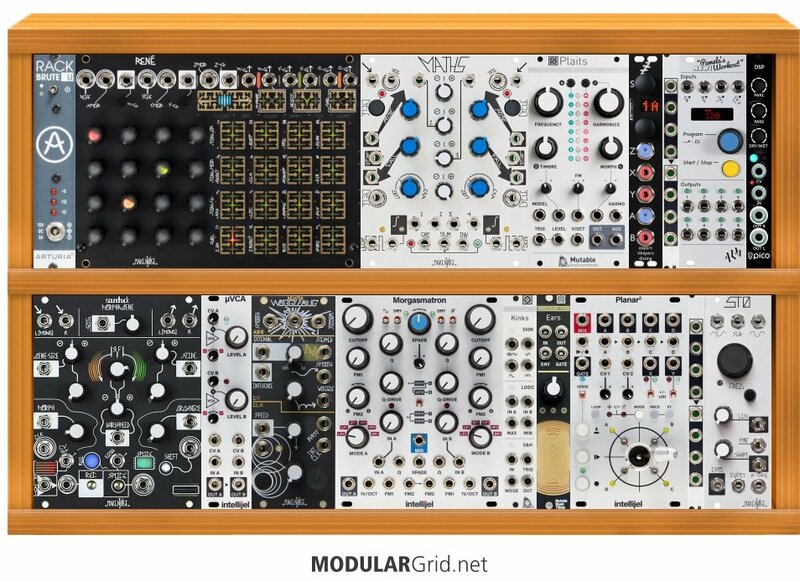 Would anyone mind taking a look at my proposed rack and letting me know if there is a specific module placement within the rack you'd have all of these sitting? 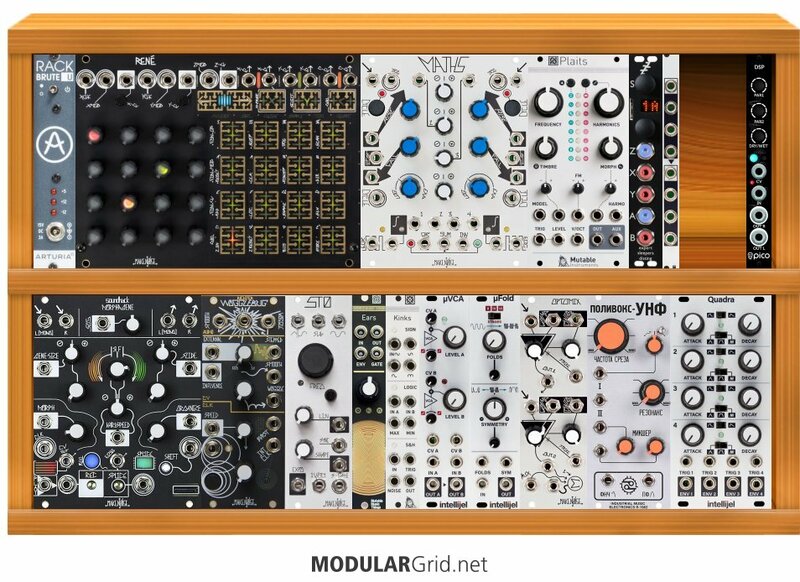 In order of functionality, like what modules should be placed right next to each other and work better with partner modules in this rack. I'll be using a Microbrute as my controller btw. Thanks and much appreciated!! 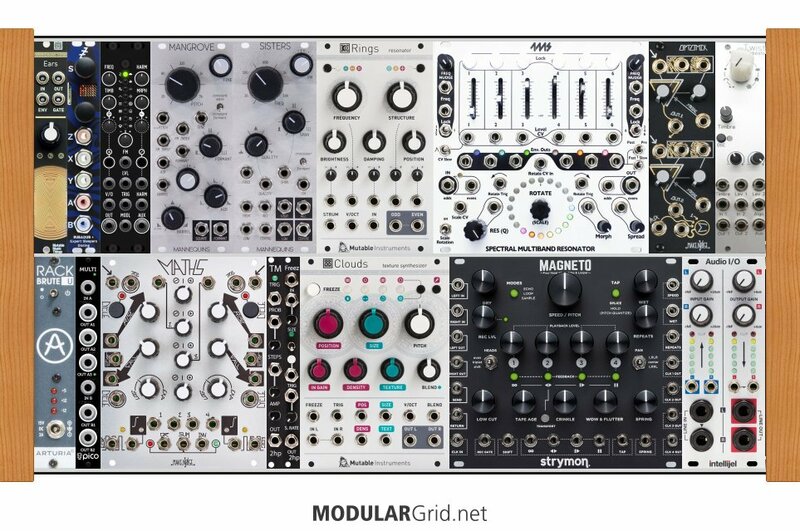 Thread: Total beginner to Module Synthesis - semi or full module to start? Thread: The thread where you say "Hello!" Hello. I'm new here. Nice to meet you guys. This is slightly more functional. But you need more, more, more modulation sources. One Maths isn't going to get you far, especially not with modules that are hungry for modulation like... well, most of what you have here. The Bernoulli gate and Trigger Riot both add probability. Also, there is Marbles around. I’m actually somewhat on the fence about randomness. I do like probabilistic triggers, but not generative sequencing. It’s just not my thing. Mm-hmm! And don't forget the usefulness of adding randomization in that, such as probabilistic skippers and sequencers. Two that come to mind are Ladik's dual skipper and the Pithoprakta probabilistic sequencer. This is also where comparators get useful, too...having one on an LFO to "go high" when your modulation signal goes into a peak positive value on a slow LFO curve can be a great way to suddenly and automatically alter the behavior of the whole trig/gate setup in conjunction with some logic gating. No. In fact, connecting a module P/S to a bus that's also being powered by another internal P/S can have disastrous results if one or the other has no reverse current protection.